Click on the gear icon at the top right corner to open settings. 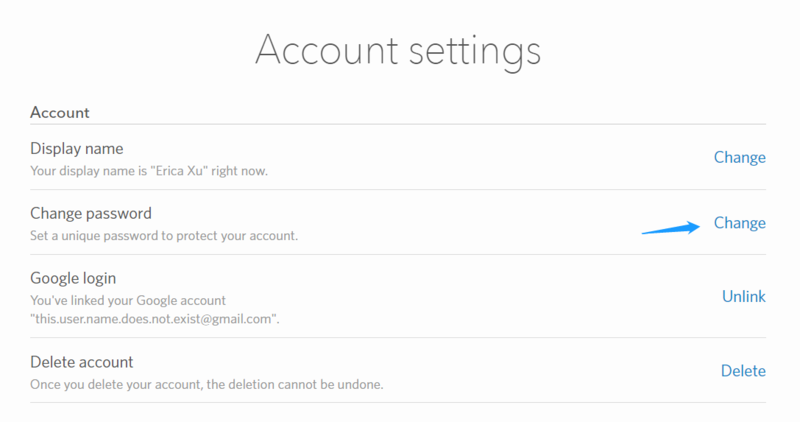 Under the “Account” tab, you can change your password. Confirm your old password and enter your new password twice and you’re good to go!